Tied with a Ribbon: F-A-N-C-Y Foxes! 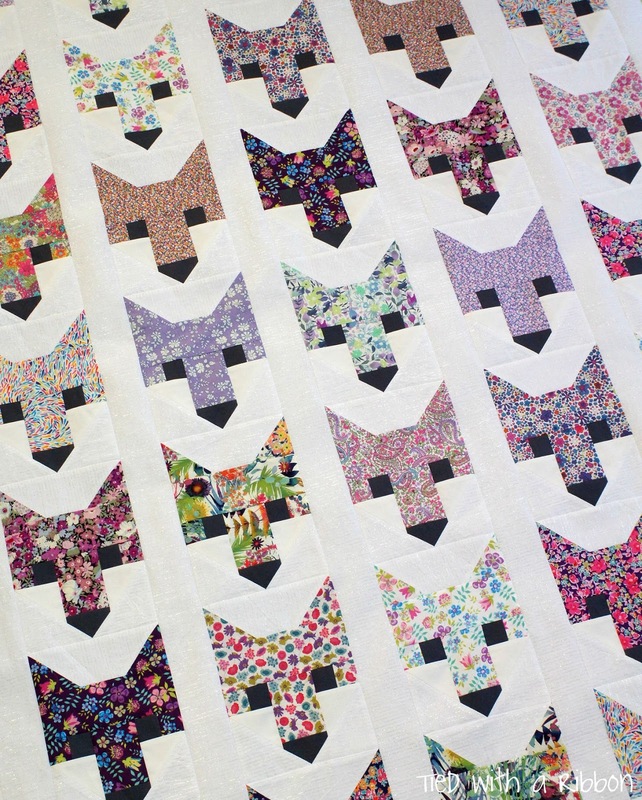 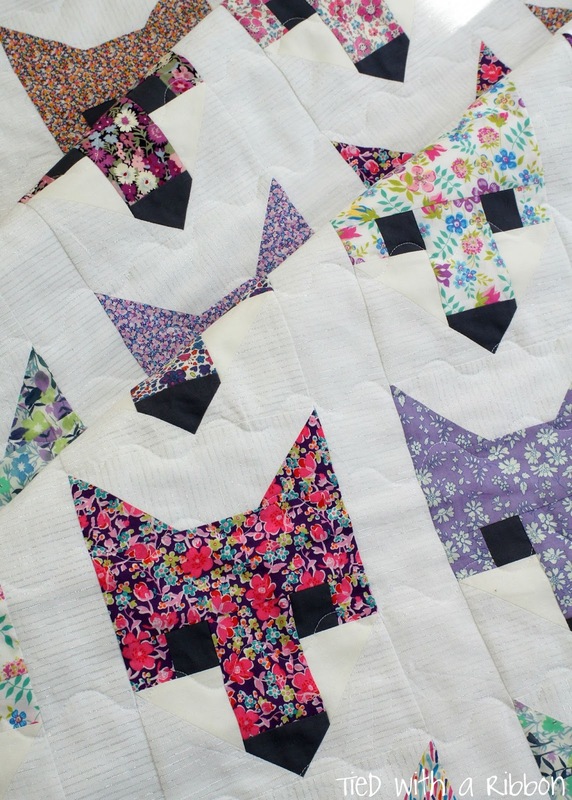 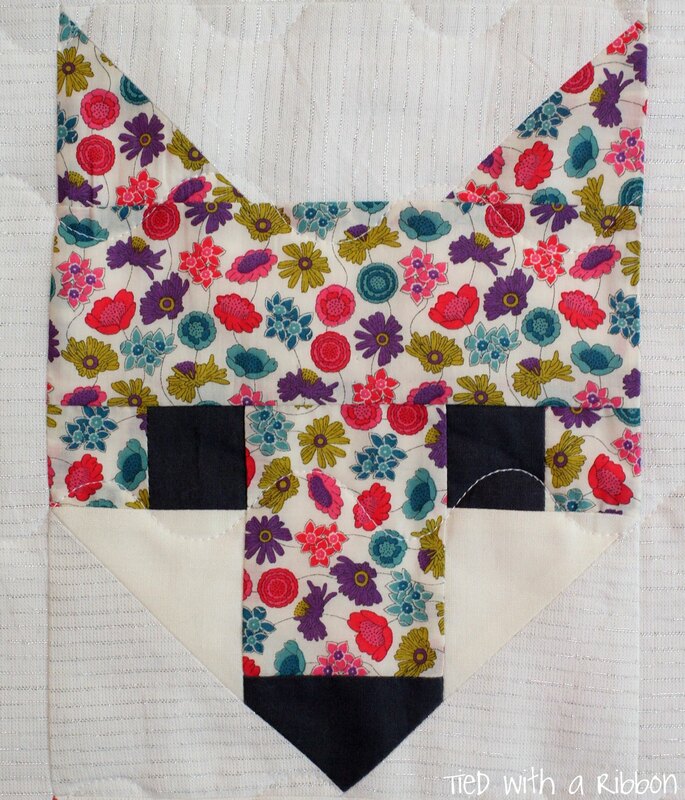 I started Elizabeth Hartmans Fancy Fox quilt a little while ago and it was certainly time to get it quilted and bound and completed. 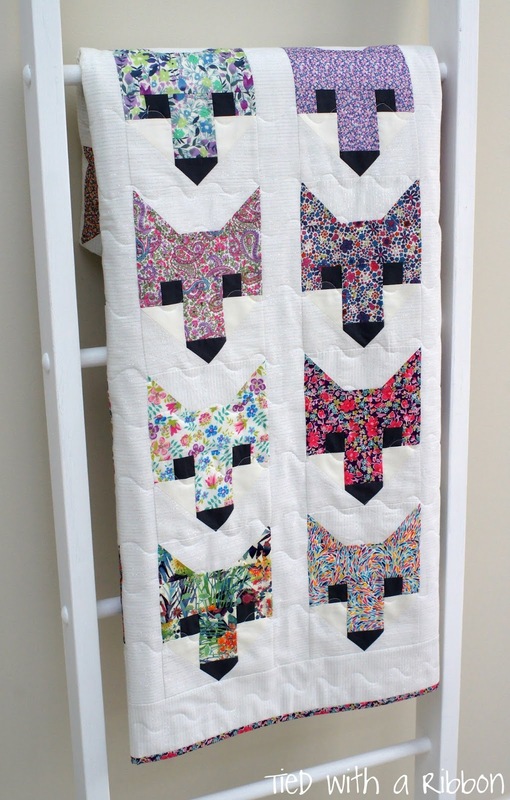 I must say I am not usually a purple lover but as this quilt is for a special young lady I am pretty sure she will love all the shades and purple prints. 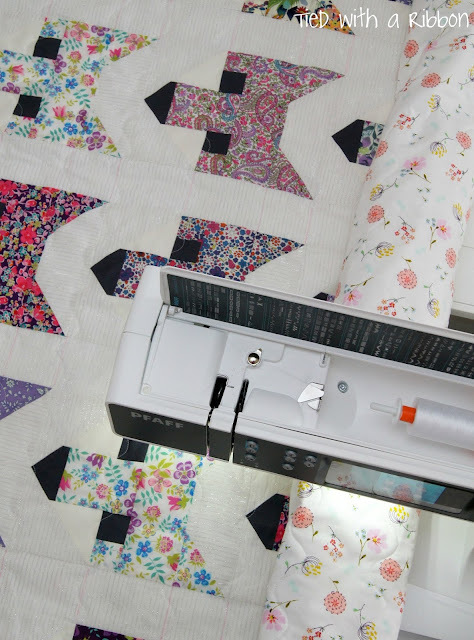 Having recently upgraded my sewing machine I could not wait to use one of the features my new Pfaff Performance 5.0 had that my older Pfaff did not. 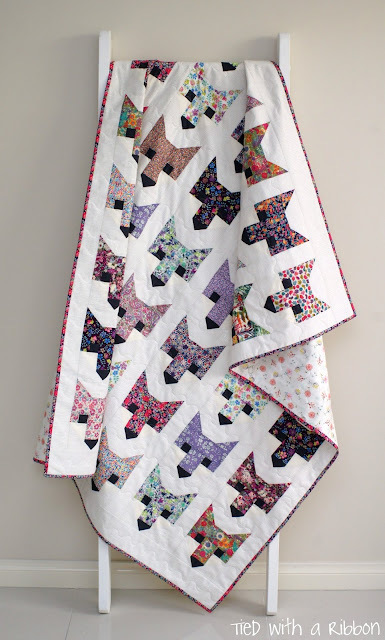 With 5cm wide stitches machine quilting this quilt was a breeze as the machine was making the large wavy stitch with me only having to guide it through. All sewn and Quilted using my favourite Aurifil Thread - #2024. 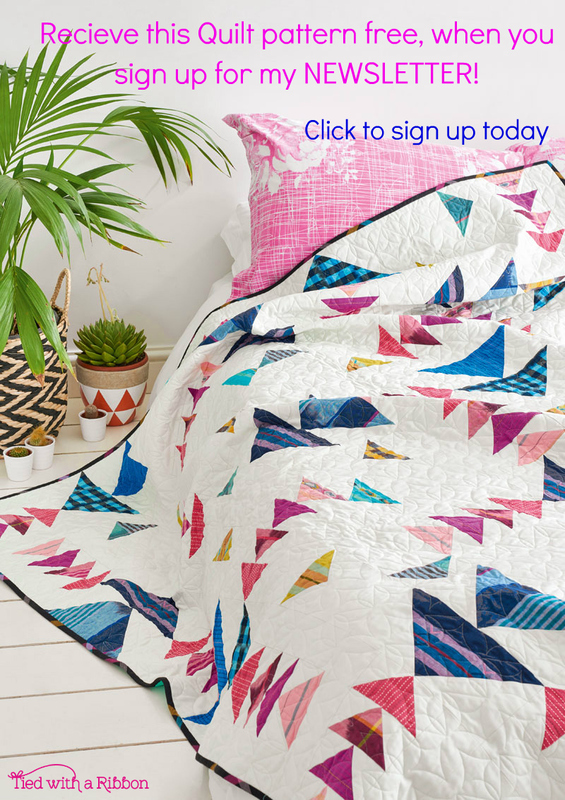 While it is hard to capture the Andover Chambray used for the background it has the most amazing silver metallic thread through it giving this quilt a glimmer that is beautiful. 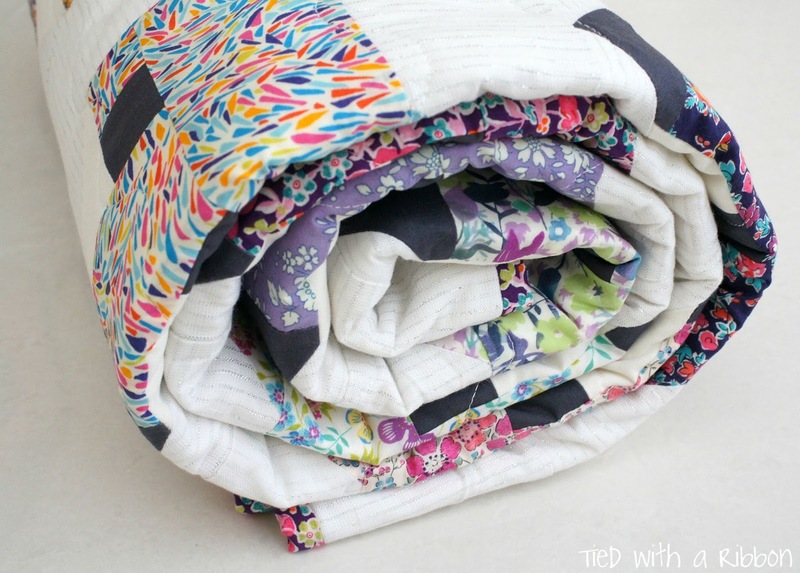 The Chambray came from Hawthorne Threads and while I thought it may fray terribly - it didn't at all and even with the metallic threads through it, it was a dream to sew with. 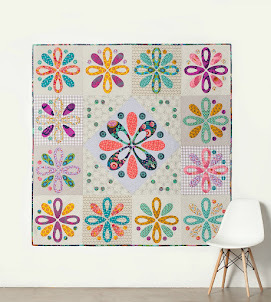 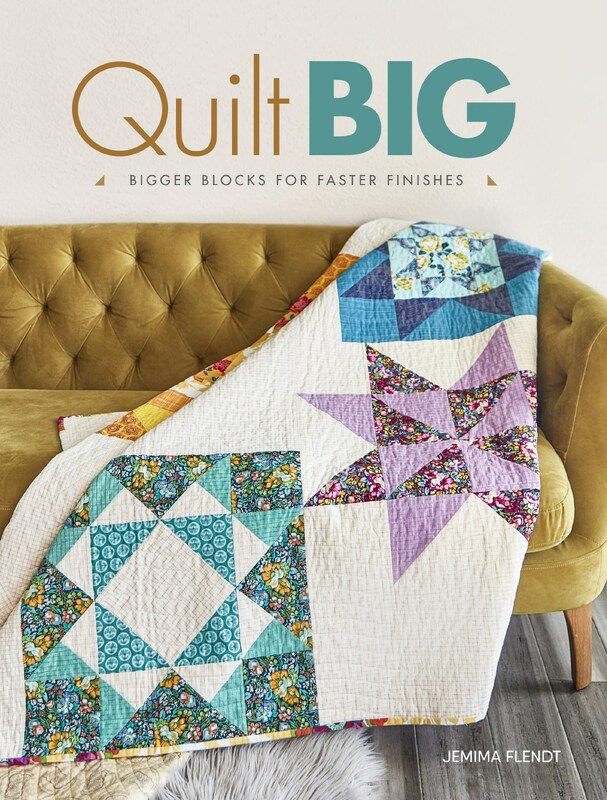 Teamed with all the Purple Liberty prints I hope this quilt will be treasured for years to come.